The Monarchy’s authorities were surprised that in early 1918, before the separate peace with the Bolsheviks, more and more Austrian-Hungarian prisoners of war escaped over the Front and tried to come home. Because of internal social tensions, authorities in Vienna and Budapest took various precautionary measures. The Hungarian Minister of Defence justified why the prisoners of war are placed into a four-week “moral quarantine” after the health care quarantine with an egregious statement: to “transform them into humans”. In fact, authorities were afraid of the spread of Bolshevik ideology – but they could not prevent it: several future leaders of the Hungarian Soviet Republic had been Russian prisoners of war. The arrival of Russian prisoners of war home has already started in the days, weeks before the separate peace at Brest-Litovsk between the Soviet-Russian government and the central powers. Az Est writes about many thousands of people on February 17 who got to this side of the front while Russian authorities did not release them officially. According to Seidler Austrian Chancellor, 20 thousand prisoners of war from the Monarchy “came home through the open front”. After the separate peace, the flow of prisoners from Siberia and other parts of Russia from the East to the West accelerated even more. However, it is a mistake to believe that all prisoners of war returned home by the end of 1918. According to Katalin Petrák, only 700 thousand of the Monarch’s around 1.8-2.1 million soldiers, civilians in labour battalions and territorials in Russian captivity could return home by the autumn of 1918. For example, the return of some of them was hindered by the Czechoslovak legion fighting against the Bolsheviks, which occupied the Siberian railroads and, together with the Cossacks on the side of whites, fought a cruel, killer war – combined with torture – against the Hungarian prisoners of war. Some of the prisoners of war were already kept in concentration camps in the turn of 1918-1919, further narrowing their scope. With the collapse of the Tsarist system, the control of detention camps and the supply of prisoners were not ensured centrally. Public security has ceased, many of the ones living in camps joined the Red Army for their personal safety. While it could secure their survival (as well) in Russia, it was difficult for them to return to civilian life when they returned home. Sometimes people did not want to take back former Red soldiers to the country, therefore in the twenties many of them left to the West after they returned to Hungary. With a little advance in time, among the around two million captives from the Monarchy, the number of Hungarians could be around 5-600 thousand, and it also turns out from Petrák’s book, published in 2012 (Human fates in the 20th century) that probably tens of thousands of people could suffer in Siberia or in the captivity of Crimean Tatars even at the end of the twenties. Others did not return home because they started to work in large cities of Soviet-Russia, or other parts of the country, many of them even got married, founded family and got citizenship. At the beginning of 1918, Vázsonyi was still Justice Minister in Hungary, and now we can jump back to his time in office, when the former prisoners of war started to arrive (or rather flow) back home from Russia. In early 1918, the leadership of the Austro-Hungarian Monarchy was worried about this – theoretically merry – process, since the flow of prisoners who might have been influenced by Bolshevik ideology was a significant risk to the political system. Of course, the majority of prisoners did not become Bolshevik and significant groups of officers sometimes followed completely different tendencies in prison camps, but they were chased, taken hostage or simply killed sometimes by the Bolsheviks, sometimes by the Czechs. On the second of March, Népszava reported that the first group of Hungarian prisoners of war, “who had been lately released” from Russia, arrived at the station in Józsefváros two days ago. (According to other papers, transports of prisoners of war arrived in Debrecen and Kolozsvár earlier as well.) According to Népszava, “they went along Baross street in a long march to the Transportstation in Óriás street, where they were temporarily placed. The thousand prisoners of war are among the ones who escaped over the Ukrainian front to our troops in the first weeks of January. They were all kept in health and mental quarantine in a small village near Lemberg”. It is thereby clear that Szurmay did not talk in random: the Monarchy’s authorities must have been afraid of the prisoners who escaped in January, since at that time, a huge wave of strikes paralysed the dual state almost entirely: 6-700 thousand people went on strike in Vienna, Budapest and other cities of the Monarchy. Socialist claims also affected the sailors at Cattaro, who rebelled at the beginning of February, and paralysed one-third of the naval force of the dualist state. On March 3, they officially concluded the peace at Brest-Litovsk, one point of which officially declared that prisoners of war are released to go home from both sides. This was reported on by Népszava on March 5. Meanwhile, in early March, Austrian Social Democrats spoke up for the prisoners of war in the house of representatives of Vienna. “Adler, Seitz and their companions” said that the quarantine should not take longer than 21 days and homecomers should be sent on leave for three months. According to the issue of Népszava on March 14, representatives of the Hungarian and Austrian Red Cross held a meeting on “how it would be possible to facilitate the return of Hungarian and Austrian soldiers in Russian captivity”. 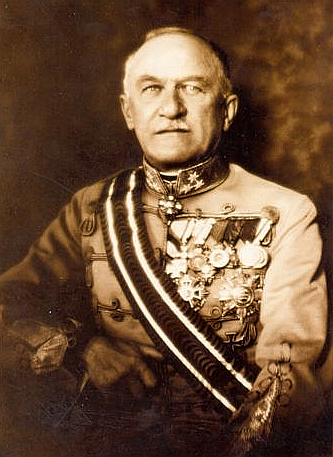 Ignác Darányi, the head of the Hungarian Office for the Protection of Prisoners of War – who was known previously for breaking the agrarian socialist movements – said that “we shall not have excessive expectations that the transfer of prisoners of war home will start soon”. Darányi did not see the cause for the above in the slowness of Hungarian authorities, but that “the postal traffic, telegraphs and cash flow are still suspended in Russia”. News also arrived from the prisoners held in Russia in February, though they were not really reliable. According to Az Est in February 10, in Moscow, six thousand Hungarian and Austrian prisoners of war held a “meeting” – at that time, this rather meant an assembly –, and “decided to demand six hours of work and fifty roubles of allowance a day”. The – not so reliable – news was written down by a reporter of Az Est in Stockholm, based on the story of civilian people who were interned in Russia and were in Stockholm, Sweden in February. In May, Béla Kun was also elected to be the head of the OK(b)P’s Federation of Foreign Groups. According to Galántai, “as a result of the enlightening agitation of the group, many homecoming prisoners of war spread the ideas of Socialist revolution at home”. Let us add that later Russian many prisoners of war became the heads of the Hungarian Soviet Republic (among the mentioned ones, Kun, Rabinovits and Szamuely became commissars as well as deputy commissars), Ernő Pór became the foreign affairs commissar of the Slovak Soviet Republic, and Ferenc Jancsik was the commander of the Red Guards in Budapest and the president of the Revolutionary court of Budapest in 1919. Galántai József: Magyarország az első világháborúban. In: Magyarország története 1890–1918. Főszerk. : Hanák Péter. Budapest, 1988. 1083-1234.